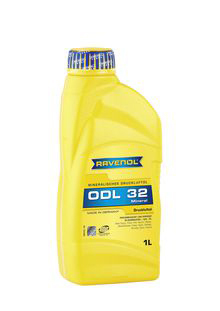 RAVENOL ODL 32 Druckluftoel is a special-compressed-air-oil for pneumatic tools of all systems. RAVENOL ODL 32 Druckluftoel bonds condensed water, has an excellent corrosion protection, wear protection and an extraordinary pressure absorption capacity, a good adhesive power and high aging resistance. Easily conveying- and spray ability, economy consumption. No deposits caused by cleaning effects. Full power of impact. RAVENOL ODL 32 Druckluftoel is specially suitable for pneumatic tools with sound-absorbing-case, for lubrication of rock drills, road breaker, chipping hammer and spade hammer, ram machines and other pneumatic aggregates. Application by pre-switch-lubricator according to working instructions or usable directly in the air pipe. Mind the manufacturer´s instructions. A very good viscosity temperature behaviour. VOLVO STD "Lubricating grease 97720"